On a recent Japanese show broadcast, Professor Sawaguchi Toshiyuki from Hokkaido University stated that SNSD’s ‘Genie’ MV could send a signal to the brain to cheer up the viewers. Korean girl groups Kara and Girls Generation were the most successful new artists in Japan this year in terms of sales, according to the website for the prestigious Oricon music chart on Monday. This month on the 8th, Popular Korean girl group SNSD released their debut single “GENIE”, which spread to the increase in sales of their DVD. Last month on August 11th, SNSD’s DVD “SNSD’s Arrival~Arrival in Japan Commemoration Disc~ New Beginning of Girls’ Generation” (Universal Music) was released. Last week it ranked 12th, but this week it moved up to rank #7. After 4 weeks, it’s made a comeback into the TOP 10. 9-member Korean group SNSD’s Japanese debut single GENIE (released on the 8th) has sold 45,000 copies in its first week. It will enter the 9/20 Single Ranking at rank #4. 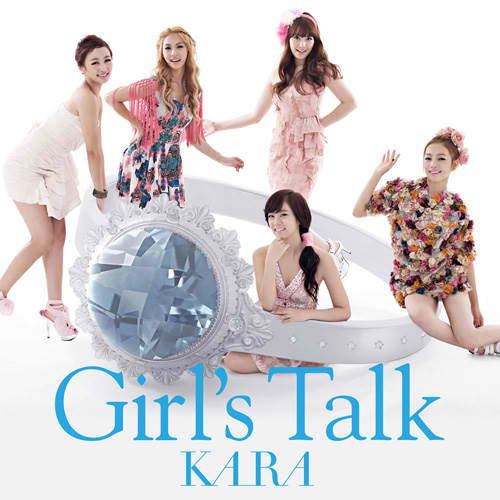 It exceeded the previous record holder of “debut single for foreign female artists including solo singers”, which was previously held by KARA who placed #5 with their debut single “Mister” (In the first week ‘Mister’ sold 29,000 copies and has sold an accumulation of 63,000 copies).